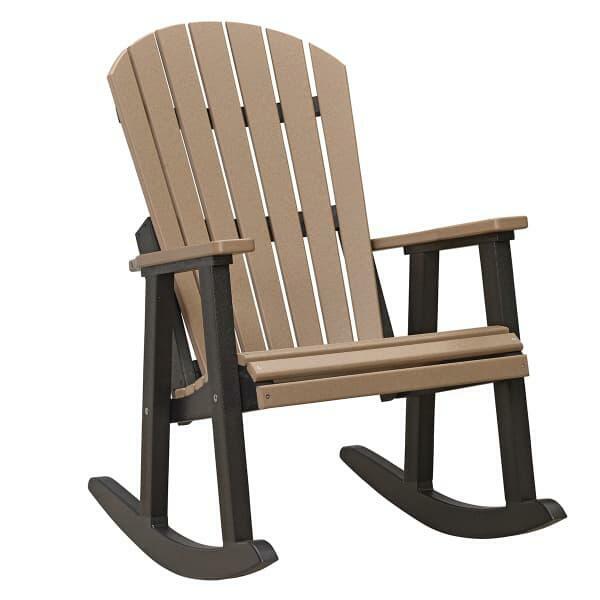 Berlin Gardens takes the traditional Adirondack chair and gives it a new, fresh design with the Comfo-Back Rocker. The high back seat is contoured for your back and head, the wide seat and arm rests provide ample room to relax, and the rounded seat edge keeps your legs comfy. 96% of the Comfo-Back Rocker is made of recycled pre-consumer plastics. This produces a poly lumber that is invulnerable; it is weather resistant and fade-proof and can be used poolside or seaside or anywhere you like. In fact, the Comfo-Back Rocker, like all Berlin Garden’s poly patio furniture, is back by a 20 year warranty. Customize in your choice of over 20 colors, including tropical brights and classic neutrals.